Today’s guest post comes from Bill Nolan, VP/GM of McKesson Specialty Health. Bill discusses ExpressCoverage™, a solution from McKesson and CoverMyMeds®. It offers new ways for McKesson’s Patient Support Services to electronically access and efficiently communicate with a vast network of physicians, payers, and pharmacies. Bill highlights how this tool improves the specialty patient’s access and adherence to therapy. 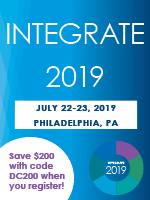 To learn more, download the free document ExpressCoverage™: Revolutionizing Patient Drug Access For Pharmaceutical Companies. Read on for Bill’s insights. The specialty prescription market is a rapidly growing share of the drug market. According to IQVIA, it’s projected that specialty medications will represent 50 percent of the total US drug spend by 2019. Specialty patients, however, can’t be treated like other patients: their complex medical conditions require a specialized approach. McKesson Patient Support Services, a hub program, proactively navigates the complex healthcare system for specialty patients to help them overcome any barriers to getting on, and staying on, their treatment plans. We’re the ones on the phone with the health plans, doctors and pharmacies, powering through issues or barriers to specialty prescription access and adherence. Knowing where each patient is at every step of their prescription journey is of great value to our customers, pharmaceutical and biotech companies, and their patients. 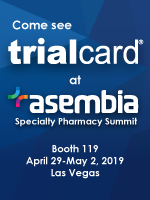 Our biopharma customers want to be able to intervene at key points in the patient prescription journey – the pharmacy, provider’s office, or health plan – to truly help their patients gain access to the prescriptions their providers prescribe and stay adherent for optimal outcomes. Obtaining prescription-journey information at the individual patient level requires integration with a broad variety of complex, networked healthcare systems. We have built such programs. We can and do help individual patients daily at key points in their prescription journeys, assisting them in gaining access and adherence to their medications. That said, we’re always looking for ways to improve. One of the latest ways we’ve evolved our hub business to improve the patient prescription journey is a solution we’ve developed in partnership with CoverMyMeds®: ExpressCoverage™. ExpressCoverage leverages today’s most widely used electronic prior authorization (ePA) platform via CoverMyMeds and the expertise of the McKesson Patient Support Services team to overcome prescription issues and barriers, and speed access to therapy. The integration of the CoverMyMeds platform into our hub gives our hub team an additional way to electronically access and efficiently communicate with a vast network of physicians, payers and pharmacies to make us the fastest and most comprehensive patient-support solution available in the specialty health industry today. Actionable data and insights to optimize the prescription workflow. 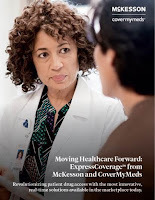 To learn more about ExpressCoverage, download our brochure, or visit www.McKesson.com/ExpressCoverage. Sponsored guest posts are bylined articles that are screened by Drug Channels to ensure a topical relevance to our exclusive audience. These posts do not necessarily reflect our opinions and should not be considered endorsements. To find out how you can publish a guest post on Drug Channels, please contact Paula Fein (paula@drugchannelsinstitute.com). The analyses on this website are based on information and data that are in the public domain. Any conclusions, findings, opinions, or recommendations are based on our own experienced and professional judgment and interpretations given the information available. While all information is believed to be reliable at the time of writing, the information provided here is for reference use only and does not constitute the rendering of legal, financial, commercial, or other professional advice by Pembroke Consulting, Inc., Drug Channels Institute, or the author. Any reliance upon the information is at your own risk, and Pembroke Consulting, Inc., Drug Channels Institute, and the author shall not be responsible for any liability arising from or related to the use or accuracy of the information in any way. Pembroke Consulting, Inc., and Drug Channels Institute do not make investment recommendations, on this website or otherwise. Nothing on this website should be interpreted as an opinion by Pembroke Consulting, Inc., Drug Channels Institute, or the author on the investment prospects of specific companies. The comments contained on this site come from members of the public and do not necessarily reflect the views of Drug Channels Institute or the author. Neither Drug Channels Institute nor the author endorse or approve of their content. Drug Channels Institute and the author reserve the right to remove or block comments, but are under no obligation to explain individual moderation decisions. The public domain use of our materials includes linking to our website. You do not need to obtain special permission to link to the Drug Channels site. The material on this site is protected by copyright law. Unauthorized reproduction or distribution of this material may result in severe civil and criminal penalties and will be prosecuted to the maximum extent of the law. This report may be cited in commercial documents with full and appropriate attribution. We do not intend to reduce, limit, or restrict any rights arising from fair use under copyright law or other applicable laws. We do not permit our articles to be republished without prior written permission. The content of Sponsored Posts does not necessarily reflect the views of Pembroke Consulting, Inc., Drug Channels Institute, or any of its employees. © 2006-2019 Pembroke Consulting, Inc. d/b/a Drug Channels Institute. All rights reserved. Drug Channels® is a registered trademark of Pembroke Consulting, Inc.